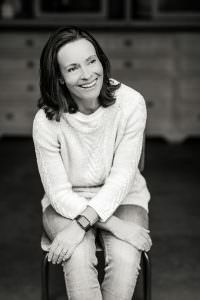 Although Valentine’s day at How to cook good food doesn’t involve expensive flowers, overpriced set menu restaurants or second rate boxes of chocolates, it does include a good meal with some wine and a little dessert. My children love Valentine’s day and seeing as it falls on a Sunday this year, I thought it would be the perfect opportunity for me and my eldest daughter to try to make profiteroles, which we both adore. 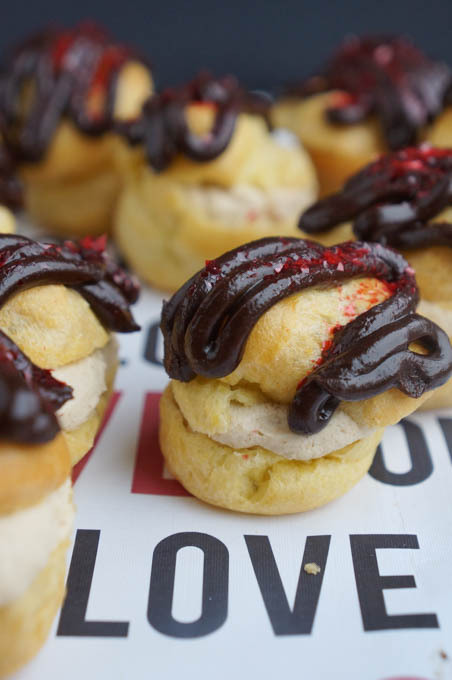 So that’s how these Valentine Mont blanc profiteroles came into our lives. As a major fan of the Mont Blanc dessert, I thought creating a chestnut cream filling would be a suitable soft centre for these little bite sized beauties. We were both amazed at how good the results were of our first choux pastry creations. The recipe we followed was by Mary Berry. Incidentally, Mary’s baking bible was the first baking book I ever bought ( at least 20 years ago) and I am always dipping into it for reliable bakes of all kinds. Mary’s brownies, devil’s food cake and pavlova were the first I ever baked as a young chef. 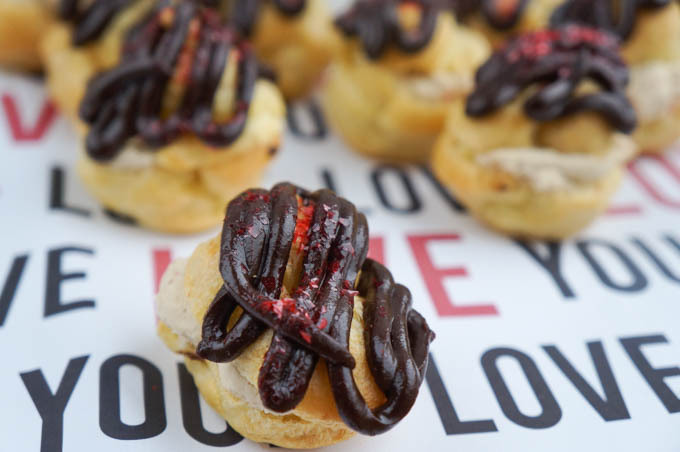 If you find yourself with a spare thirty minutes this Valentine’s day, then you should try making these Valentine Mont Blanc profiteroles. I am sure your family will LOVE you for it. 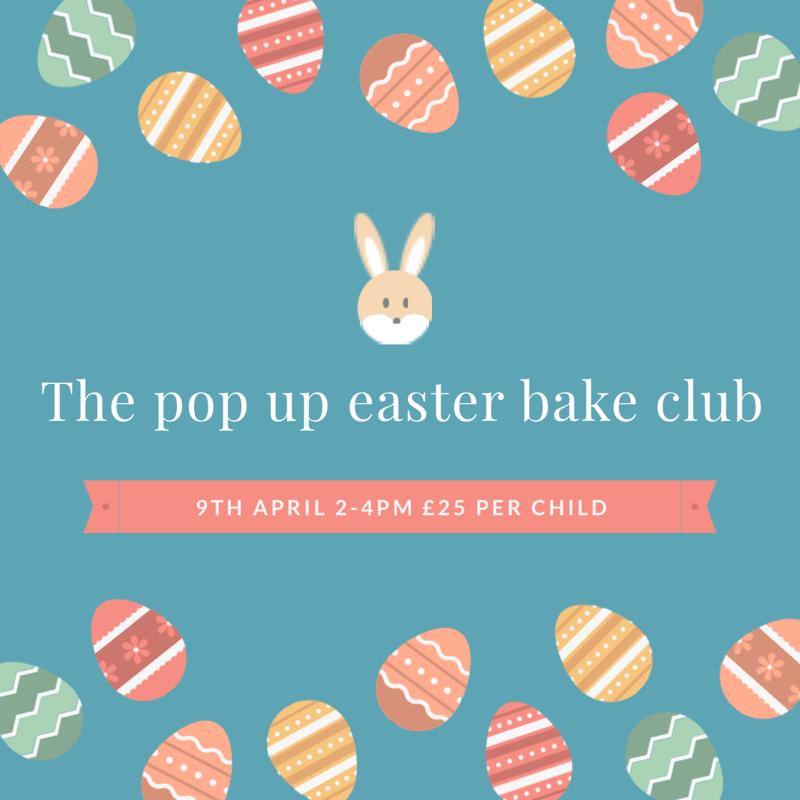 I am linking my profiteroles up to We Should Cocoa (Tin & Thyme), Perfecting Patisserie (Baking Queen) and Treat Petite (United Cakedom, Cakeboi & The Baking Explorer). Enjoy these Valentine Mont Blanc profiteroles flavoured with a chestnut cream and topped with a dark chocolate glaze. A perfect Valentine's day dessert. Melt the butter with the water over a medium heat until the butter is melted then turn up the heat and bring the liquid to the boil. Take the liquid off the heat and pour in the flour. Mix the flour into the liquid until it forms a ball of dough then return it to the heat to cook out for 1-2 minutes. Remove the mixture from the heat and allow it to cool slightly before adding in the eggs gradually, stirring in between until all the egg is incorpoarted to the choux pastry. Place the choux pastry into a piping bag and pipe small balls of choux pastry onto 2 lined baking trays leaving space between the choux buns to spread. Flatten down the pointy tips with a wet finger. 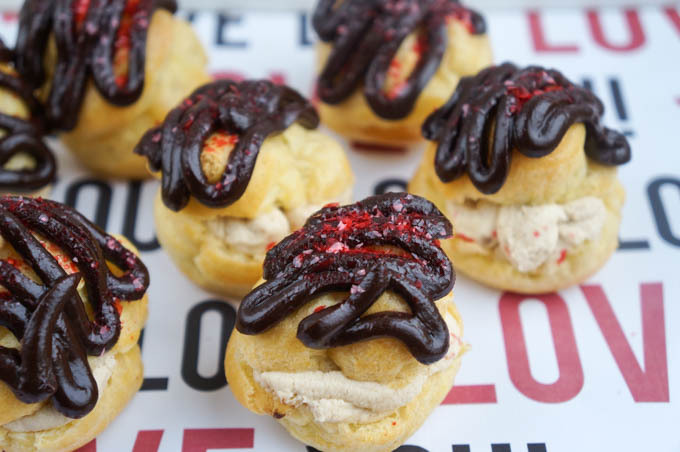 Yummy, these sound absolutely spectacular and a great twist on traditional profiteroles. Oh I love the sound of the chestnut cream! Choux pastry always sounds really ambitious but its not actually that tricky to make. Fab recipe. Totally agree Claire, as a pastry making fan I can’t believe it’s taken me so long to make these. Now I’m moving on to eclairs and Paris Brest! These look gorgeous. The perfect treat for Valentines Day or any day for that matter! Sure,they shouldn’t be enjoyed only for Valentine’s day! I love the Mont Blanc filling you’ve used here, the chestnut cream sounds delicious! A brilliant idea to fill profiteroles with it, and they look divine. 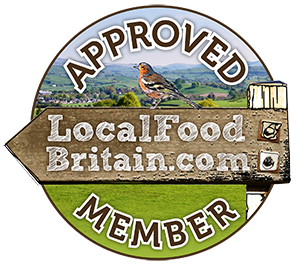 Thanks very much for linking up with #PerfectingPatisserie! For some reason, we only ever have profiteroles at Christmas, and I have never tried making them myself. These look beautiful and I might make them for Mother’s Day. Oh you would easily be able to make these Choclette, go on! Yes, I know I really should and one day I WILL get around to it. Thanks for sharing with #WeShouldCocoa BTW. Oh my gosh these look soooooooooo good. Can I pretend to be your child and get some? Mmmmm, I love the idea of filling profiteroles with a chestnut filling, I’d imagine they taste absolutely delicious. It’s nearly lunchtime and seeing these is making me feel very hungry! 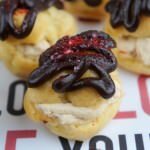 I have yet to try profiteroles, they have been on my “to bake” list for ages now! I will have to remedy that! 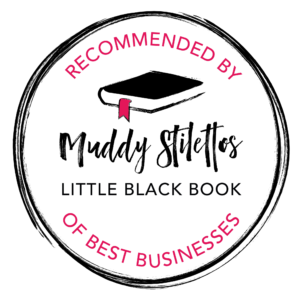 Thank you for linking up to Treat Petite this month!! I love mont blancs and this sounds like a great fusion. So inventive!